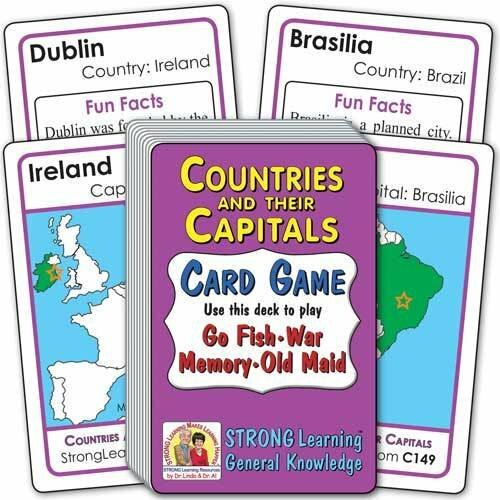 Learn about Countries and their Capitals while playing popular card games. Matches are two cards with a country and its capital written at the top. One card of the matching pair shows the Country, with map and location of the Capital. The other card of the pair lists the Capital and some Fun Facts.